Learn the full story of the galaxy's most lovable scoundrel in this adaptation of the blockbuster Star Wars prequel! 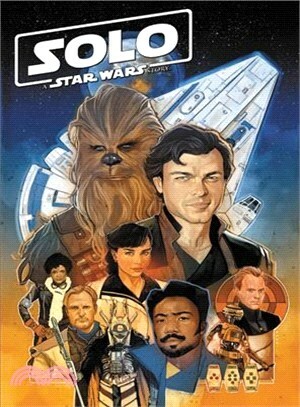 After leaving the Imperial Navy, a young Han Solo seeks adventure by joining a gang of galactic mercenaries - and soon meets notorious gambler Lando Calrissian and a 196-year-old Wookiee named Chewbacca! Witness Han's fi rst fl ight in the Millennium Falcon - and join him on the legendary Kessel Run! But can even the fastest ship in the galaxy help Han accomplish an impossible heist for ruthless gangster Dryden Vos? There's more to this story than you saw in any theater! Plus, it's the good, the bad and the deadly as Han's outlaw pal Tobias Beckett stars in tales of backwater worlds, hoodlum-filled cantinas and deadly heists!